This lovely little engine is particularly significant since it started off our collection here at Forncett. 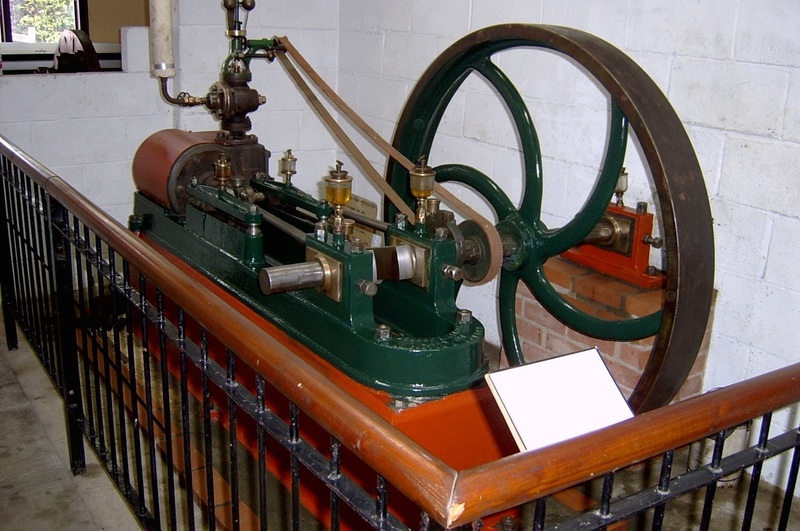 The engine was built in 1897 and began its working life at the vinegar brewery of Crosse & Blackwell in North London. In 1929 the brewery closed down and this engine was transferred to the Sarsons Malt Vinegar brewery in Tower Bridge Road. Whilst it was at Sarsons, the engine achieved a surprising working record by driving a set of vinegar circulating pumps for 25 years continuously. DONATED BY Sarsons Malt Vinegar Works, London. TYPE Single Cylinder Horizontal Engine 9 HP. BUILDER Jessop and Appleby, Leicester. 1897. CYLINDER 8 inch X 14 inch Stroke. FLYWHEEL 4 foot 6 inch diameter.